Exchange/Return of items will be applicable within 7 days upon receipt of the item only. NOTE: To maintain strict hygiene standards, exchanges/returns are NOT applicable for cosmetic products. Great fit and also helps me see my keyboard in the night! Highly Recommend written by mobile Fits well. It fits. Fits well. It fits. Just what I'm looking for. doesn't lie completely flat but otherwise great! Fits well and fast delivery. Happy with the purchase! Very Prompt delivery arrived in good condition! fits perfectly well. quite hard to find in the malls. Received in good condition. Perfect fit for my keyboard! 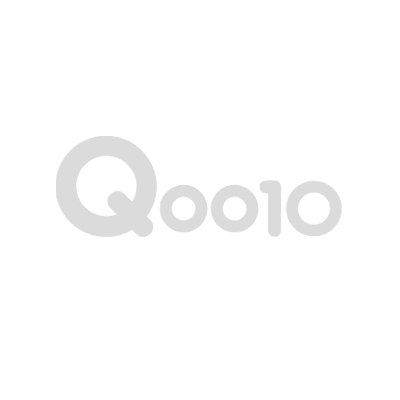 Please log in into your buyer account under "MyQoo10" > Shopping List > Cancel/Refund/Non-Receipt > Select "Cart No." > Select "Return" or "Exchange" under 'Apply & Remark'. Returns and exchanges are based on case-by-case basis. We will assess the claim issue with the provided picture and inform on the progress. To maintain strict hygiene standards, kindly note that exchanges/returns are NOT applicable products that is unsealed, opened, removed from packaging or used and all cosmetic products. Hi, can i know which type Silicone keyboard to purchase for Asus UX533FD ? Hi there, thank you for your interest in our products. Unfortunately, we do not have compatible keyboard protectors for your laptop model: ASUS Zenbook 15 UX533FD at the moment. You may consider the Universal Keyboard Protector that does not come with indents for the button keys, so that it will be usable with most laptops sizes. It is available in 2 sizes. For the best fit, please measure and compare the size of your keyboard with the measurements provided in our store to ensure that it can fit before your purchase. We hope this answers your question. Thank you and have a great evening! Hi which one is for ASUS vivobook S15 S530UN? Hi there, thank you for your interest in our products! Unfortunately, we do not have compatible keyboard protectors for your laptop model: ASUS VivoBook S15 S530UN at the moment. We hope this answers your question. Thank you and have a great week! Do you have transparent silicone keyboard cover/protector for ASUS ROG Zephyrus S GX531 laptop? Unfortunately, we do not have compatible keyboard protectors for your laptop model: ASUS ROG Zephyrus S GX531. Thank you for the prompt reply and info. In the near future if you have keyboard protector for this laptop, kindly inform me. I will consider buying the universal keyboard protector for the time being. Thank you for your kind understanding. Have a great day! Hi, do you have keyboard protector for Zenbook 15 UX533FD? We have reviewed the picture of your keyboard layout. Unfortunately, we do not have compatible keyboard protectors for your laptop model: Zenbook 15 UX533FD. may i know which ground the asus s15 s530 is under ? We have reviewed the picture of your keyboard layout. Unfortunately, we do not have compatible keyboard protectors for your laptop model: ASUS VivoBook S15 S530UN. Zenbook 14” UX433 should get which? Unfortunately, we do not have compatible keyboard protectors for ASUS ZenBook 14 UX433 at the moment. Which one is for UX433FA-A5130T? Unfortunately, we do not have compatible keyboard protectors for ASUS ZenBook 14 UX433FA at the moment.